The discovered tomb is Ramesside tomb belong to a person called "Khonsu" who held the title of "Royal Scribe". The T-shaped tomb located in El Khokha area on the West Bank of the Nile in Luxor, to the east of the front court of TT47 (Tomb of Userhat) while the Japanese mission of Waseda University directed by Dr. Jiro Kondo. 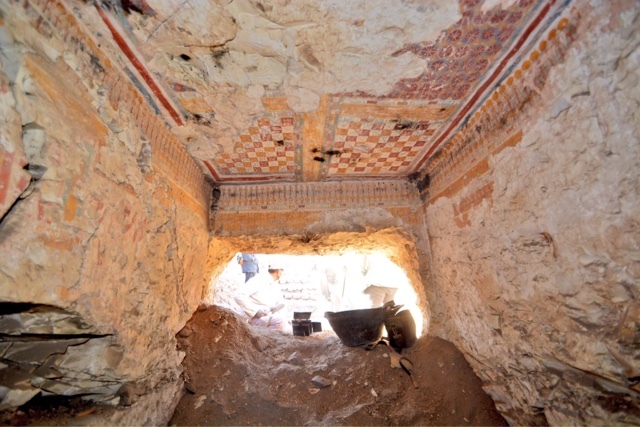 Dr. Jiro Kindo said "During the cleaning of the eastern part of the front yard of the tomb of Userhat, a big carved hole in the northern wall was found. After crawling through the hole, it was found that it leads to the southern wall of the hall of the newly discovered tomb of Khonso". The tomb consists of an entrance leads to a hall then a burial chamber. 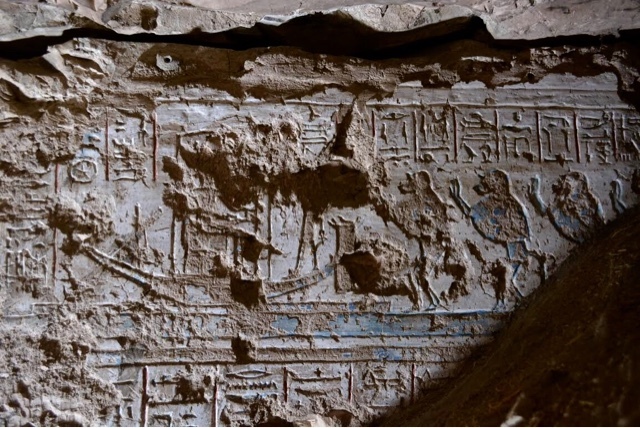 The newly discovered tomb has many scenes including a scene of the sun god boat worshipped by 4 baboons on the north wall to the entrance. 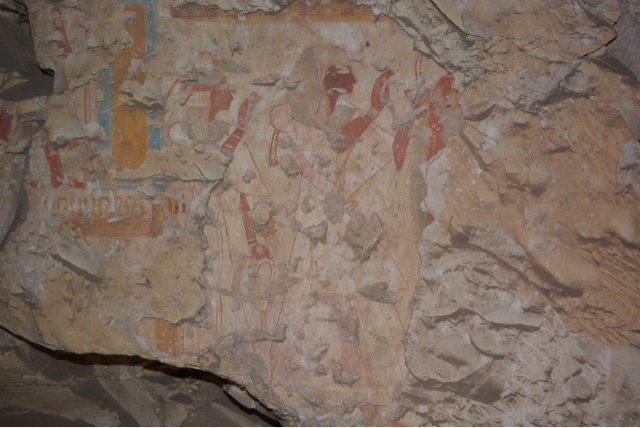 On the northern part of the eastern wall, there are two registers; the upper one shows several scenes of Isis and Osiris figures as for the lower one, it shows scenes of the tomb owner followers. More scenes expected to be revealed in the inner room which is currently covered by large stone blocks.